Our health programs are personalised, responsive and work for wherever your members are at. Our platform connects to a range of wearables and health apps so members can share their data and receive personalised, behaviour based rewards and coaching. Our health programs are personalised based on a user's continuous real-time data collected from thier smartphone, wearable/s or biosensors. 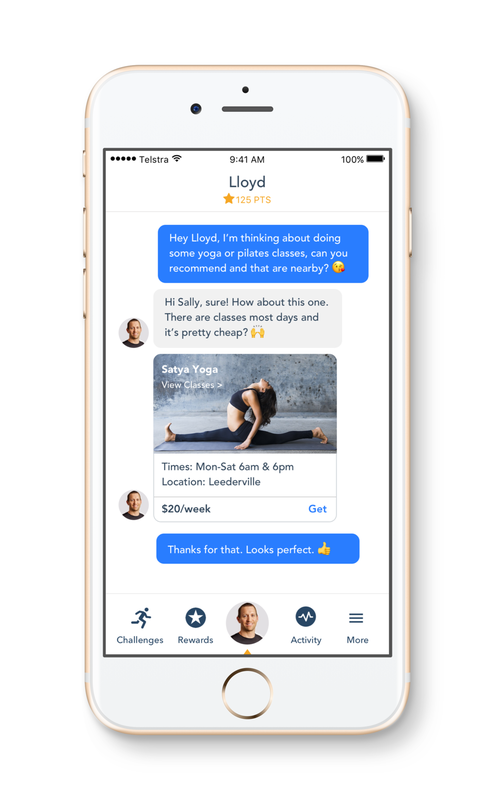 Our health programs prompt users, via in-app messages and conversations, to make small daily behaviour changes at the appropriate time and place. Our health programs continually learn to understand a members needs and likes and provides appropriate content at times which will best suits them. We use a strengths based approach to reduce the likelihood participants will struggle or suffer significant physical or mental health consequences of adversity. Our AI assisted health programs can support millions of members at a fraction of the cost of traditional programs. With Boundlss you can provide constant, year long health advice and support to your members for less than the cost of a single visit to a health professional. Enquire to find out more. Programs that scale to millions of users for a fraction of the cost of traditional programs. Experienced team of health professionals including program designers, nutrionists and trainers. Simple, engaging preventative programs available at the touch of a button. Personalised, data driven and context-specific programs that respond to user behaviour. Curated, research backed health articles and insights on a range of topics. Customise and publish your own health content and programs using our conversation engine. Up and running in weeks, not months. Our health programs scale to support millions of members with speed and ease. Our health programs and services can be customised and launched to your members within weeks not months. Want to design a custom program for pregnant mums, or need help with the technical side? Our team of program designers and engineers are happy to help out. Build healthier members and reduce your claims.